The prime minister of Singapore, Lee Hsien Loong, ahead of talks with German Chancellor Merkel in Berlin, July 6, 2017 (DPA photo by Wolfgang via AP). Since June, Singapore has been gripped by a public spat between the three children of the city-state’s revered founding father, Lee Kuan Yew, over the future of a family home. 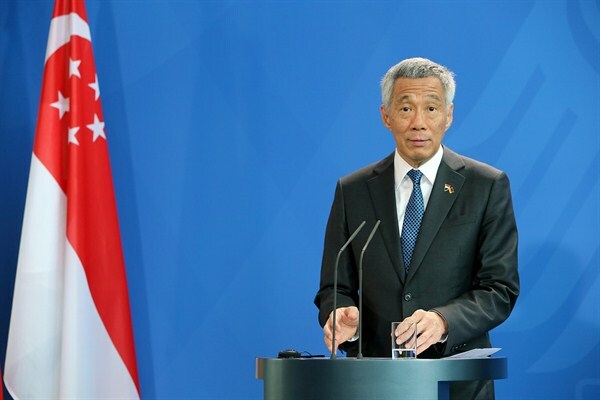 While some have downplayed the episode—which involves Singapore’s current prime minister, Lee Hsien Loong, Lee’s eldest son—as a mere family feud, in reality the dispute reflects broader concerns about the future of Singapore’s politics and the government’s ability to manage domestic and foreign policy changes in the post-Lee Kuan Yew era.